If you don't like the product or if you are no more interested in the product which you buy from LinuxPurchase, Then don't need to worry your money always in safe hands. 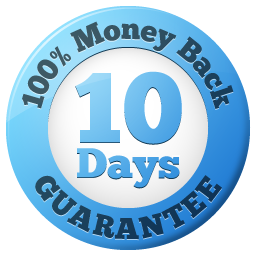 Here we give 10 days money back guarantee. So if you don't like the product or Product is damaged during shipment OR you receive faulty product then you can claim your money back. Please share your order details and invoice copy on info@linuxpurchase.com OR you can fill this form for the refund.